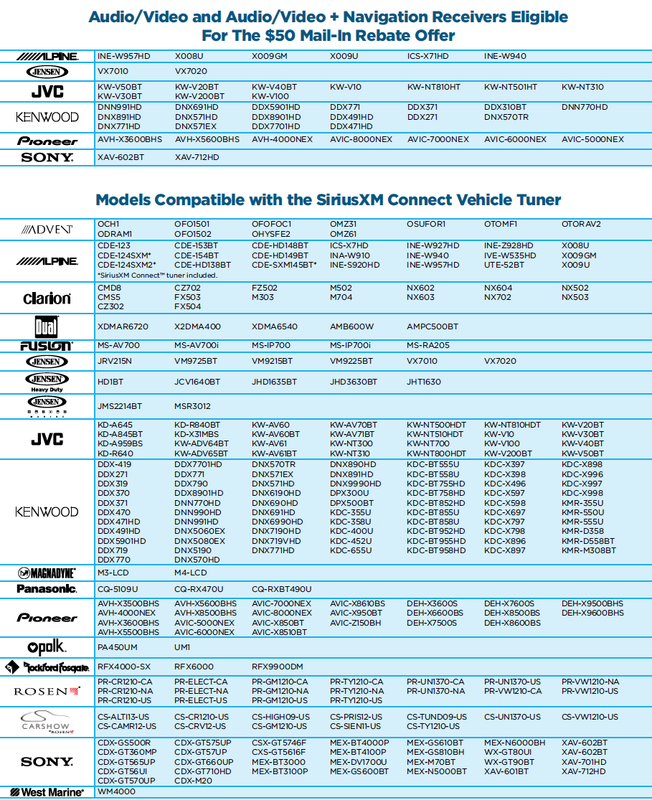 SiriusXM is running a promotion for new customers who purchase an eligible car head unit and a satellite radio tuner. A whole spectrum of head units from different manufacturers are eligible. There are up to $120 in savings to be availed of including a $50 mail-in rebate. 1. Purchase a NEW eligible "SiriusXM-Ready" audio/video or audio/video + navigation receiver combined with a NEW SiriusXM Connect Vehicle Tuner (SXV200 or SXV300). Note: All five Pioneer NEX receivers are eligible. 2. Subscribe to the SiriusXM ALL ACCESS monthly plan by 12/31/14 with their "Never Miss A Beat" offer and pay with a credit card. After the first two steps you will receive the first 3 months of service free + free activation ($18.99 per month + $15 activation = $70 value). 3. Mail in a completed rebate form by 1/30/15 and maintain 90 days of service. Receive $50 rebate by mail. Total savings for doing all three steps = $120. 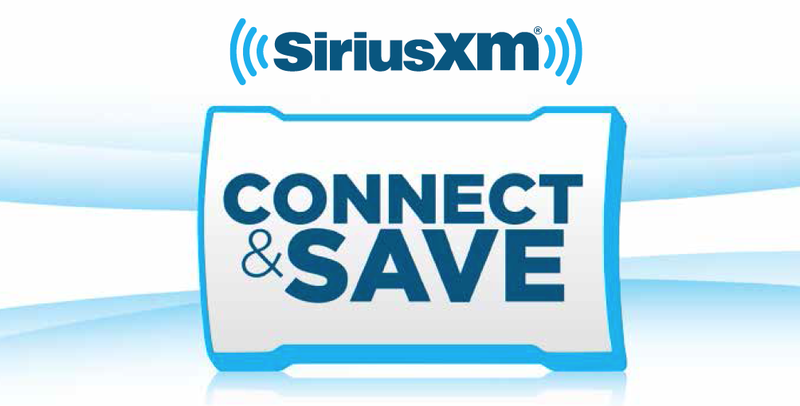 If you only purchase a NEW SiriusXM Connect Vehicle Tuner + connect it to any "SiriusXM-Ready" head unit + subscribe to the SiriusXM ALL ACCESS monthly plan by 12/31/14 using the "Never Miss A Beat" offer + pay with a credit card, you can avail of the first 3 months free service plus free activation, a $70 value. Complete offer details are here... SiriusXM Connect & Save. In the fine print, one piece of information is very important to note. Purchases from Amazon, Best Buy, BestBuy.com, Costco, Costco.com, shop.sirius.com, shop.siriusxm.com, CarMax, CarMax.com, Wal-Mart.com and Wal-Mart store locations are NOT eligible for these offers. Make sure to read complete offer details in the link above before purchasing. Amazon has the best rates on most of the compatible head units but a purchase from there won't be eligible for these offers. Bummer!